Throughout the month of February LittleBird are be celebrating World Book Day with fun facts, free gifts and competition giveaways. 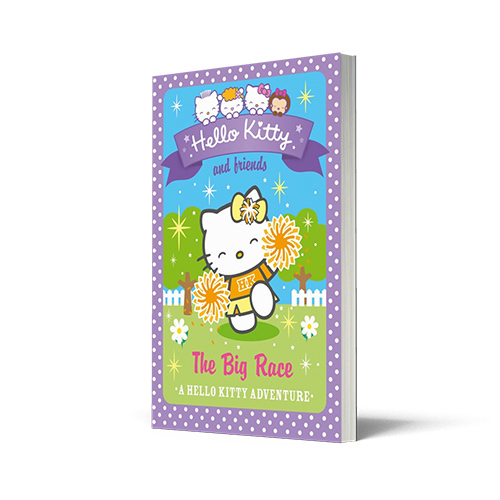 Our friends at Harper Collins have given us four fabulous books to give away this week – Hello Kitty and Friends – A Hello Kitty Adventure, Time Hunters Stone Age Rampage by Chris Blake as well as Jack Pepper and Hero both by Sarah Lean. 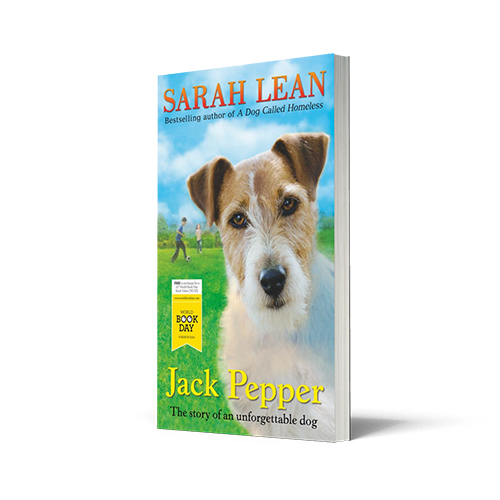 Jack Pepper is one of this year’s World Book Day titles by bestselling author, Sarah Lean and is set to be published on 20th February 2014. 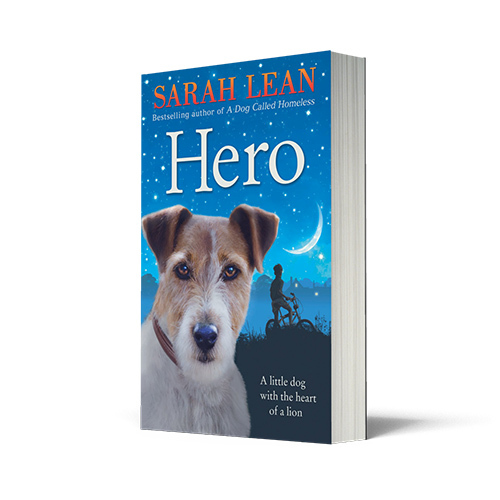 Sarah Lean grew up in Wells, Somerset but now lives in Dorset with her husband, son and dog. She has worked as a page-planner for a newspaper, a stencil-maker and a gardener, amongst various other things. She gained a first class English degree and became a primary school teacher before returning to complete an MA in Creative and Critical Writing at the University of Winchester. A Dog Called Homeless was her first novel. My mum brought home a typewriter to type up scripts for the amateur dramatic society. I was about ten years old at the time. I remember standing by her shoulder and asking her if she would type my stories and made up some there and then. I had a feeling that I cannot describe, a word that doesn’t exist in the dictionary. It’s related to shiver, excitement, surprise, possibility, dawn, home, and love. 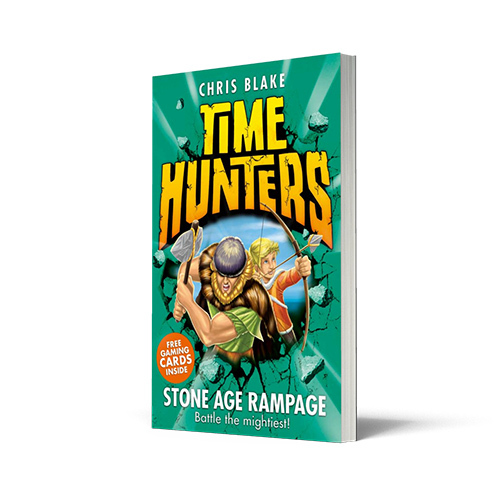 I wrote stories now and then, hid them, sometimes showed Mum. Eight years ago I decided to attend university to study English because I wanted to be a teacher. At the first session for creative writing our tutor asked us why we wanted to write. I said, ‘Because my junior school headmaster said he hoped to see me in print one day’. I suppose it was always there, I’d just forgotten. I read Andersen’s Fairy Stories – I still have the book; it’s very old and beautifully illustrated. Enid Blyton, especially The Faraway Tree. There’s an old fable that stands out to me, about a king with three daughters who couldn’t decide which one to pass his kingdom to. He asked them to bring him a gift to show how much they loved him, to help him choose. The youngest daughter brought salt, and he banished her until he realised its importance. I have no idea why that stands out. Haphazard! I need to be more disciplined and organised. I write at the dining room table, because the window looks out on the garden. It needs to be quiet, preferably with nobody else in the house, except the dog. He often sleeps on the chair beside me (Harry’s a border terrier cross, if you’re wondering). If it’s warm, I’ll write in the garden because I love being outdoors. When walking or traveling I rehearse things again and again in my mind and can usually remember what I want to write about. I often leave the house without my notebook and have to write notes on receipts and scraps of paper, questions about the characters and plot, phrases, speech that stands out. It often surprises me when I come across the notes again, or when the dog has found them and chewed them. I could definitely be more organised. Inspiration is everywhere, just like stories. For me, the key is to just look, just listen, wherever I am. I watch people. I listen to their vocabulary, try to understand what it tells me about them. Don’t listen to that voice in your head which is convincing you that you’re not in the right mood to write, that other things are more pressing, that you’re not ready, the weather needs to be better. Just keep going. Expect to get it wrong, again and again. Practice is paramount, expect to learn, love learning. Don’t worry about where you are going. It’s what you are doing right now that matters. Trust your guts. 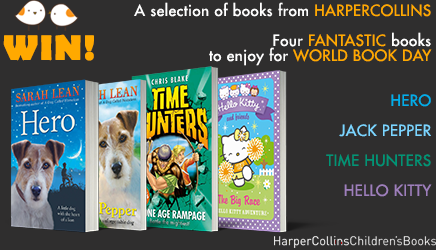 Thanks again to Harper Collins and don’t forget World Book Day on Thursday 6th March. Want to get ahead of the dressing up game but in need of some ideas?